Depend on us to treat the windows of both your residential and commercial properties with ease. Whether you want your home to be spruced up a bit or you need to add some privacy to your business, we have you covered. FREE in-house consultations and estimates are also available. Affordable Blinds of Cincinnati offers quality window treatments in a variety of types and colors ranging from blinds, shades, shutters, and drapes. If you need an update, we can help. We have a great selection that can match any décor. You can achieve a fresh new look without a huge budget by changing what frames your view. A new window treatment can make all the difference in a room. Once you make your final choices, we can help you through each phase of your project from the initial sale, through measurements, straight through to final installation. After years of beginning to make a name for Handy Window Shade Inc. in 1901 at 1230 Vine Street in downtown Cincinnati, Art Meckstroth retired his services. Ralph Meckstroth took ownership of Handy Window Shade Inc. in 1910. In 1943, Handy Window Shade Inc. made the decision to move from 1230 Vine to 905 Vine. Taking a German Frei Press building during the war, Ralph made Handy Window Shade Inc. a new home. Ralph Meckstroth worked at Handy Window Shade from 16 years of age to 65. He then passed along ownership to his son Ralph Meckstroth II in 1975. Ralph Meckstroth II worked at Handy Window Shade Inc. for 15 years. Retiring at the age of 62, Greg and Ralph Meckstroth III took ownership of the company in 1990. 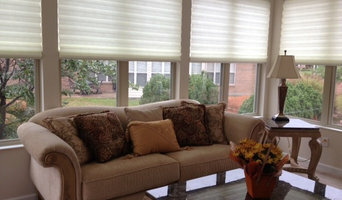 For over 100 years Handy Window Shade Inc. has been a part of the Meckstroth family. We take pride in our long time experience in the business. We custom-make window treatments and linens for the home. Our shop is internet based. Since 2007, the pros at Paradise Exteriors provide their local Cincinnati and surrounding area customers with the best in replacement windows and doors. Because quality should always matter when it comes to the service you receive for your home, it is important to trust their trained, skilled and experienced experts. They offer free consultations and custom measure all windows before ordering them, followed up by professional installation by a factory trained professional. We at Budget Blinds serving Centerville proudly serve the local community by offering high quality and stylish window coverings for any occasion. Specializing in Residential and commercial, custom made, window treatments We offer everything from blinds, plantation shutters, shades & draperies to decorative interiors such as pillows and bedding. We bring the showroom to you. 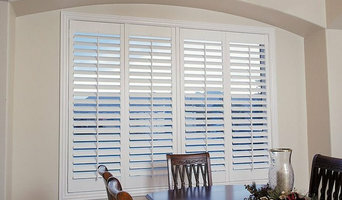 Full line of shutter, drapery,blinds and shade. Motorized specialist, commercial and consumer products with over 30 solid years of business. Our personalized shop at home service allows you to view beautiful products in the comfort of your own home. Our experienced design team will help you select products that meet your aesthetic and functionality needs. From new construction to re-decorating projects, Best Blinds of Dayton will help you make the best choices for your window covering needs. With well over 20 Hunter Douglas product offerings, from a classic faux wood blind to a sophisticated sheer shading, we will help you find a product and price point that works for you. 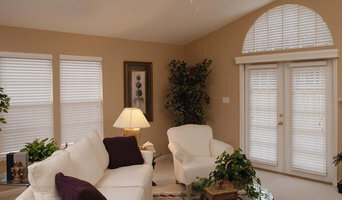 We started in 1996 as a full service Window Treatment Company. Working from home, Kim provided In-Home Consultations all over the Cincinnati area. Now located in a beautiful Design Showroom in Loveland OH, and still offering In-Home Consultations. Best of both worlds! Retailer of custom window coverings. Blinds, Shades, Shutters, Shades. Draperies ALTA, Hunter Douglas. 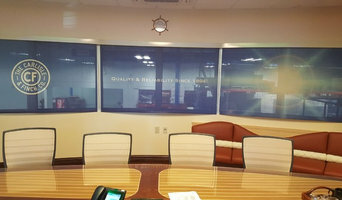 Being a part of the Smith and Noble family gives me access to the best fabrics and the top of the line products, I have a wide knowledge base, but is not limited to, Window Covering. My love for design started at a very young age with my grandmother doing arts and crafts and grew into reupholstery and redesigning furniture.